A truly NB beer made with maritime malt from the NB potato belt and Centennial hops from Southan Farms in Wicklow NB. A dark amber brew that has a strong hop bitterness balanced by a robust malt backbone. The release features 32 different labels, each based on a vintage New Brunswick postcard. 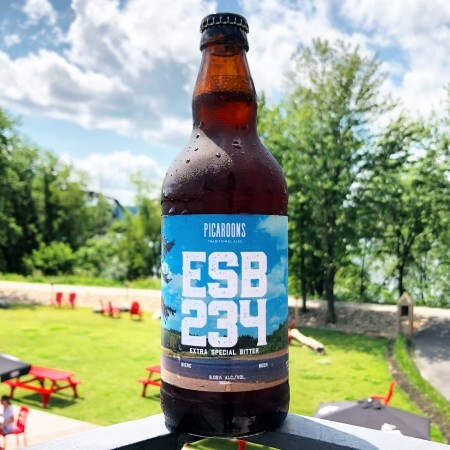 ESB-234 is available now at both Picaroons locations in Fredericton, and soon at all other Picaroons retail and taproom locations in New Brunswick, as well as ANBL stores throughout the province.